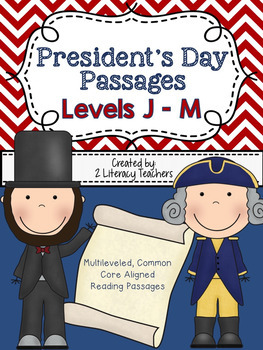 President's Day is a CCSS aligned, multileveled passages and activities set. Included in this set are 3 different passage sets (see below). Each passage set has 4 passages on the same topic at 4 different text levels, J-M. This is a continuation of our A-I set. The passages are the same and only increase in difficulty through level M. This allows all students to access the same text at their level. 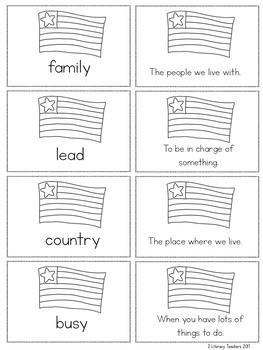 It is perfect for supplementing your President’s Day themes. 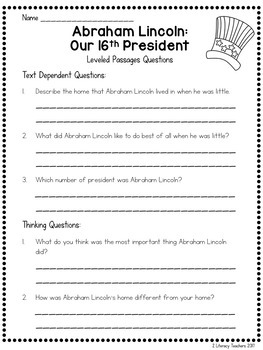 We also have included 2 different compare and contrast pages for comparing George Washington and Abraham Lincoln. They are in Venn Diagram and T-Chart form. 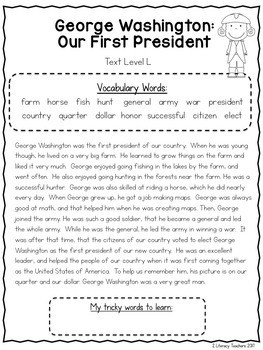 We have added a writing prompt where students can write about what they would do if they were president. *What Does the President Do? -Writing Prompt: If I was President. Plus an additional blank writing prompt. This set can be used whole group or small group. You may also like President’s Day Passage BUNDLE A - I Check it out for the same passages at lower levels!